The name says it all! If you´re in search for state-of-the-art loops to boost your productions, here´s the place to discover! 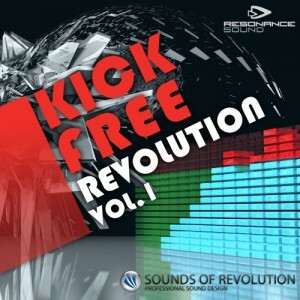 SOR Kick Free Revolution is a must have for any producer or remixer. All the percussive loops are top notch and original. You’ll find only current progressive loops that will fit perfectly in any electro, club, house or dance track. The minute I got my hands on the SOR series- I put the sounds & loops to work in all my productions and big name remixes. A huge bonus is that not only do you get the product as standard .wav files- you get REX files, Apple Loops, EXS files (for all of us Logic users)and Kontakt files which give you total flexability. Go download this stuff now !